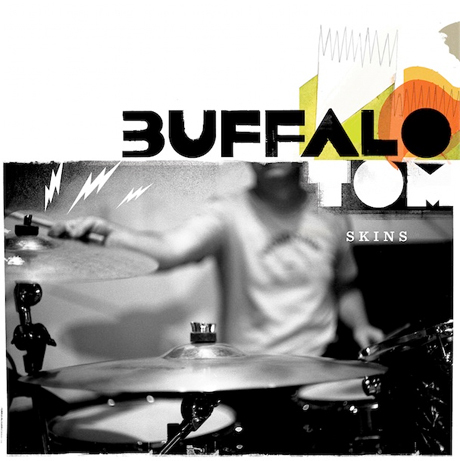 It's been a while since we heard from longtime alternative nation vets Buffalo Tom. Back in 2007 the Boston, MA outfit released Three Easy Pieces, which actually followed a much longer nine-year absence from the music business, but the group stayed relatively mum since then. Thankfully, the slightly sullen indie rockers are ready to return with Skins. The new album is set to be released on February 15 via the band's own Scrawny Records. Skins will be the eighth offering from the group, and there will be a couple of versions of the record floating around, including a deluxe edition jammed with demos and B-sides. Currently a tracklisting only exists for the standard CD. A vinyl version including a digital download will also be available. The trio are joined by former Belly/Breeders/Throwing Muses singer Tanya Donelly, who sings on "Don't Forget Me," but there's another contributor to Skins that might get the kids of today all riled up. Actor Mike O'Malley, who plays Burt Hummel (aka Kurt's dad) on Glee, has written liner notes to go along with the set. Turns out he's quite a fan. "Here were men my age making music about things that mattered -- how we navigate our lives amidst the messes we get handed and the messes we've made," O'Malley writes, "and they were doing it with an authentic sound that had heft, texture and drive. They did what we want our rock and roll to do -- distill potent observations about life and disguise any sentimentality -- eliminate it -- by backing up the observations with guitars and drums." You can download the album's opener, "Arise, Watch," over at Stereogum. 2. "She's Not Your Thing"
10. "The Hawks & The Sparrows"
12. "The Kids Just Sleep"
13. "Out of The Dark"